Expect the DA to be moving every case they can. 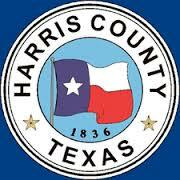 Jury Service for all Harris County courts except Justice of the Peace, suspended/ cancelled through Oct. 13. Resumes Oct 16. Chris: So, if someone had jury duty in May and had it reset to October 13th, do they disregard the new date (of October 13) and simply wait to be called again sometime in the future? Yes, Mike Sullivan. They will not be called again until the “wheel” is reset–the database of names.